Tougher times in the oil and gas industry have been confirmed by the release of trading statements from two leading players in the market this morning. The UK’s BG Group, the country’s third biggest energy company, that grew out of the former British Gas, reported a bigger than expected fall in its third quarter operating profit as production declined in Egypt and oil prices continued to fall. Crude oil prices have now fallen by around 25% in recent months due to falling global demand and oversupply. BG’s share price has fallen by some 30% this year. BG reported operating profit of US$1.3Bn against a consensus forecast from analysts of £1.4Bn. Production from Egypt fell 50% due to a depleting reservoir. 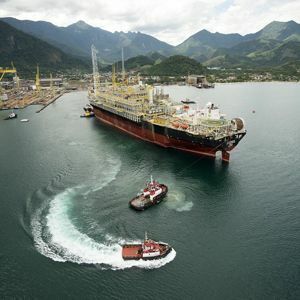 Third quarter revenues however rose four per cent to $4.6Bn as more costly production came on stream in Brazil and Australia, with Brazil producing over 100,000 barrels of oil equivalent a day. The company is undertaking a radical asset review to identify projects that are weighing on its financial performance, and other oil companies are also looking for cost cutting opportunities as oil prices fall. Norway’s Fred Olsen Energy also reported below expected third quarter profits and warned that the global rig market will face lower demand and over supply as companies cut activity and new rigs continue to enter the market. Day rates have fallen in all market segments and a growing number of idle rigs can be seen, particularly in international midwater and deepwater markets, the company said. Olsen’s operating profit fell by over 80% to US$15.4M and the share price is down by some 65% this year.